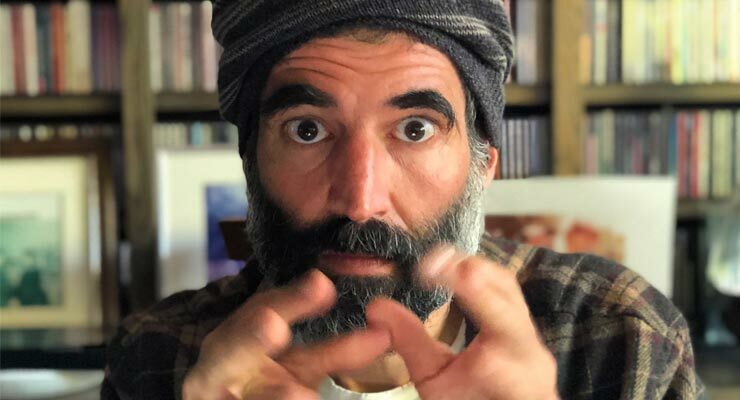 On this week’s episode of the podcast, yogi, tantrika and psychonaut Spiros Antonopolous discusses his adventures in the far outer realms of consciousness—including how a ritual to contact his Holy Guardian Angel may have resulted in a stroke in his frontal lobe that left him without the capacity to speak for years, forcing him to interact with the world in a completely new and radically present way. This is definitely one of my absolute favorite conversations on the podcast yet. You’re really, really going to love it. Spiros Antonopoulos began studying yoga with Eddie Stern in 2001, and with Ashtanga Yoga master Sri K. Pattabhi Jois during that same year (until his passing in 2009). He continues to study with Pattabhi Jois’s grandson and successor, Paramaguru R. Sharath Jois, and his daughter, Saraswati Jois. And for a few brief years in the early oughties he ran a tea stall at Ashtanga Yoga New York & the Broome Street Temple in Manhattan. ALSO: This podcast has a new an exciting feature—I’m now recording the pre-show conversations around the kitchen and dinner table when I have guests over to tape a show. These conversations will be uploaded immediately to the Patreon for supporters (along with the advance audio of the main interview itself)—in fact, they will only be available for Patreon supporters. My pre-conversation with Spiros is already up on the Patreon—we got into some supremely esoteric and enlightening conversation. You can find it here. Check out the Ultraculture podcast minisite to subscribe to the show, and please become a supporter on Patreon! Enjoy the show!